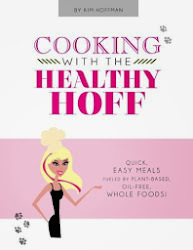 The Healthy Hoff: Keeping it Real with Pumpkin! As fall descends upon us and the air turns crisp, the aroma of backyard fires linger and the leaves transform to varying shades of burnt amber, golds and reds... my taste buds awaken for that treasured fall favorite...pumpkin. If you've been following along, you already know the nutritional benefits of pumpkin and how best to get pumpkin, if not - it's homework time! Here are a few interesting pumpkin recipes that I pulled from one of my favorite recipe sites: AllRecipies.com. I haven't tried them yet, but I intend to!